The MacBook Air lineup was last updated in April 2014, with 100MHz speed boosts and a price reduction of $100. At the time, Apple's hands were tied because of a lack of new chip options from Intel, and the company opted to cut prices, resulting in the most affordable -- and ultimately also the best selling -- lineup of Macs in the company's history. This'll probably be the final refresh, unless they plan on continuing the line past the rMBA's announcement. I'd expect these to be like the Ivy Bridge MBP that's still for sale in the store nearly three years after announcement. 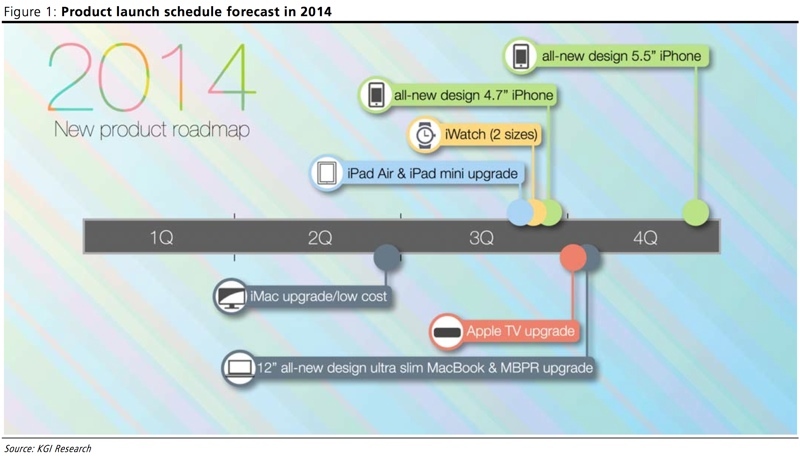 So I wonder then if this means don't expect any new Macs until WWDC? Apple didn't show off any hardware at WWDC last year so maybe this year they will? It's <a href="http://appleinsider.com/articles/15/01/24/kgi-iphone-sales-forecast-at-73m-for-q4-ahead-of-apple-watch-debut-in-march-12-macbook-air-in-q1">still expected</a>, however, that Apple will debut a new 12-inch MacBook Air this quarter, which concludes at the end of March. The company is also set to launch the highly anticipated Apple Watch in April, giving it a busy start to 2015. A minor refresh looks like they're waiting on Skylake for the Retina, possibly fanless redesign. Broadwell can't support external Retina displays. Having non-Retina Broadwell models would mark a line between both 2015 models as it would be Retina MBA in late 2015. They did this with the Pro models though - brought the new Retina ones in at a much higher price while keeping the old ones around. I expect a $100-200 premium over the existing models for the Retina ones. Looks like highly connected insider Ming Kuo was wrong again. AI and MR have become blinded by their love of Ming Kuo. He simply must be paying them something to publish his stuff. No one running these sites seems quite enough critical of him for my liking. Apple wasn't the first company to release a machine with Broadwell chips so I now have to say I'm waiting for Apple to release Macs with Skylake. Ming-Chi Kuo made no claims about a minor MacBook Air refresh for the existing models, so I don't see how this rumor has anything to do with him. He said the 12" model is coming this quarter, which he may still be right or wrong about. We'll see. "One last note: AppleInsider does partner with advertisers, notably in our price guides. These partnerships are always clearly identified, and our editorial staff is never asked to skew coverage based on advertising. Anything not explicitly marked as advertising is news content chosen by our editors solely because they found it interesting -- any comments suggesting otherwise will be removed. " I'm sorry, when did Apple announce this refresh? This is just as much a rumor as anything he says. There's an old military adage that runs: Order, counter-order, confusion." It means that in the heat of battle issuing radical changes can create more trouble than leaving that original order unchanged. Example: Order an attack, then order a retreat. Half your troops will attack, and half retreat, resulting in a disastrous attack and a disastrous retreat. Better perhaps to go with that attack and make the best of it. The equivalent for Apple might be "Revised product, new product, confusion." Does Apple really intend to sell these updated MBAs for only two or three months and then drop them? Does it intend to release a 12' MBA in addition to 11' and 13' models, creating three nearly identical products? The last is a more complex product line than is usual with Apple. A better move might have been to create a 12' MBA with enough additional new features to call it a MBA Pro. It'd have a Retina display, at least 8 Gig of RAM standard, perhaps even cellular data and GPS built in and more USB ports. At the same time (meaning not now) Apple could release these revised MBAs with merely a chip upgrade and at a lower price to make them more competitive. Not perfect, but at least it'd create fewer conflicting products. Faced with confusion, customers often can't decide and don't buy. 8GB as base level memory config, and I'm in. 256 GB base storage would be welcome as well, but not as big a deal for me. Nothing new...it seems most Mondays have an Apple hardware rumour to generate page clicks. I've accepted this tactic and just move on. Great post. Makes me forget why I have you on block (I just undid that now). I'm still thinking the new retina MBA might actually become the return of the MacBook (neither Air nor Pro). That would give it a place in the line, leaving the non-retina MBAs as the inexpensive option needed in the education and consumer markets. That configuration is already available today in today's MacBook Airs. In fact, it's exactly my configuration. So why aren't you already "in"? What if the next product Apple presents is an iBook running iOS? Ming has been WRONG way more than he was right. Look at his predictions for 2014. Total fail. Basiclly the only thing he got right was the 6 release date. Which any idiot could tell you since Apple has been releasing the new phones in Sept for years now. Actually it looks like he was actually completely right about everything on the top half of the chart, he just got the timing wrong on some of them, which is understandable. I think the reason he gets more credit from websites like this one is that he works directly with companies in the supply chain, so he reasonably should have more access to information. Now, that's not perfect and Apple's pretty secretive, but there's no shortage of factory workers willing to leak parts for some extra cash. Seeing those parts doesn't say anything about release date though. It's entirely possible Apple actually could have had a new Apple TV (for example) ready last year, but for whatever reason held it back - maybe they weren't happy yet with their software or the state of their licensing agreements with the media companies. Depends on whether you count this rumor as fact. explain. everyone knew a bigger 6 was coming. What exactly did Kuo get right. So he got 1 out of 7 release dates correct? congrats Ming! I'm not here to bash Ming. I just can't stand how AppleInsider treats Ming like some kind of god. He said the 6+ was going to get delayed to Dec or even 2015. He even said the 6 may come out in July. He also said the 6 would have a full sapphire screen. He also said the 5C would cost $350 off contract. dude says so much different and contradictory things that eventually he gets something right. This story has absolutely zero to do with Ming-Chi Kuo, so please try to stay on topic rather than derailing the discussion. So when is the shareholder meeting? Still have not heard anything.